Presentation titles are afterthoughts – the last thing on the presenter’s mind. More often than not, presenters go through the entire process of putting together their presentations and then when asked, give a lack luster title that doesn’t inspire us to be part of the audience. 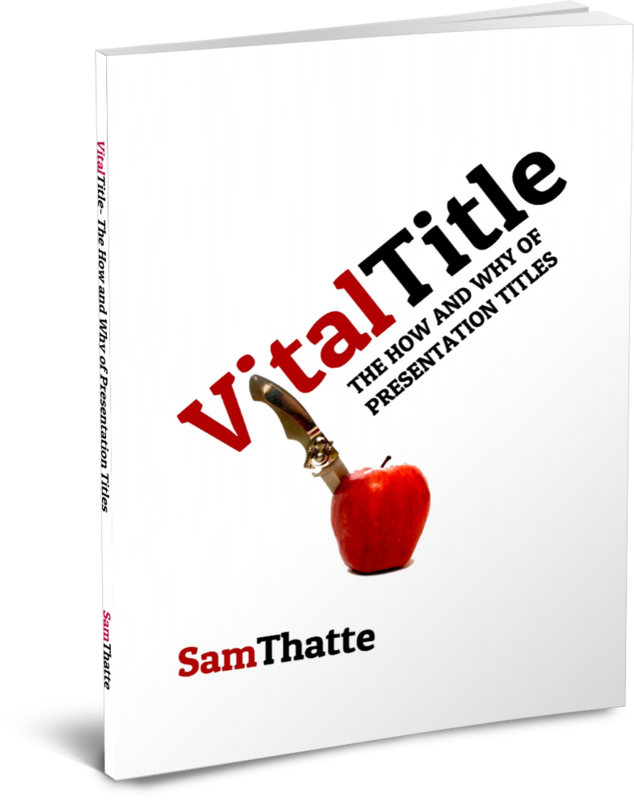 You are about to experience the power that titles have in presentations! You are going to learn how to take a stand and create a title that has strength in the information and anticipation it provides. A title that lets the audience know ahead of time what to expect during the presentation. A title that makes them want to attend your presentation. If you ignore this extremely vital information that is a big part of the success of outstanding presentations, you risk losing out on a larger audience, ease of content creation and of course, future sales. However, if you learn how to harness the power of presentation titles, you’ll be able to turn a boring presentation into a powerful persuasive message. So let’s take a look at what is inside this free 25 page report, shall we? – Why Your Presentation Titles Need to Pack a Punch! – How to Create Clever and Catchy Titles. – Three Techniques to Creating Strong Titles! – Benefits of Using Strong Titles. – “Just Add Water” Title Templates to Give You a Creative Start! – Other Tools and Resources for presentation titles on the internet. You’ll also receive valuable tips on presentations, design and marketing from me, all at no charge. At times I even give away free templates that I create for you, my audience! To receive this report, enter your name & email below and click “JOIN!” Then, when you confirm you subscription, you will be sent your free report within minutes via email!